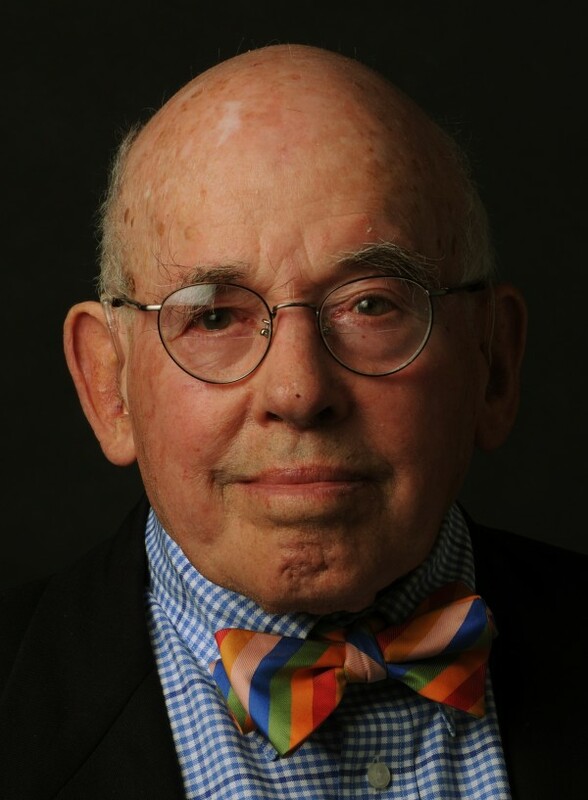 Richard Dudman was a Washington correspondent with the St. Louis Post-Dispatch for 31 years and posted stories from around the world, including Argentina, the Middle East, China and Vietnam. He was the BDN's senior contributing editor for 12 years. 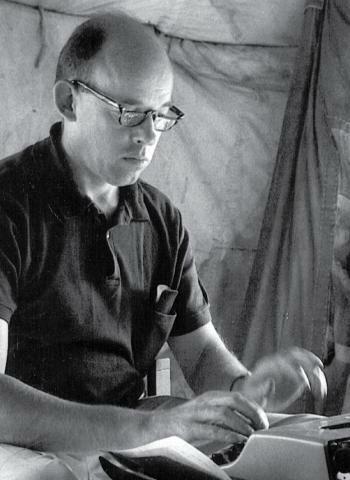 Richard Dudman was tired of reporting about U.S. forces trying to find well-armed communist supporters in Cambodia. As a correspondent with the St. Louis Post-Dispatch covering the Vietnam war, he had taken several helicopter rides into the country with the military, and they never found the weapons or Viet Cong units they were looking for. So Dudman, with journalists Michael Morrow and Elizabeth Pond, decided to explore on their own and drove in the direction of Phnom Penh, the capital of Cambodia. It was May 1970, a few months after a coup in the country. They knew the blockade in the road was an ambush. But when they turned their vehicle around, Vietnamese men with guns stepped out from behind the trees. The guerrillas took their passports, cameras, typewriters and marched them into the woods. “That’s when I had the brilliant insight to tell these two reporters, ‘If we get out alive, we’re going to have one hell of a good story.’ I thought it was my role to keep their spirits up,” Dudman, now 94, said. Dudman, of Ellsworth and Islesford, has spent his life finding and writing good stories. He has been the Bangor Daily News’ senior contributing editor for the last 12 years, writing more than 1,000 editorials. Friday, June 29, was his last day. Recently he talked about his experiences as a lifetime newspaperman. He survived the 40-day capture in Cambodia — even developing a rapport with the communist captors. “They wanted to keep us alive, and I think they felt if they treated us right we’d write some stuff that would put them in a fairly good light,” Dudman said. He wrote an account for the Post-Dispatch and later expanded it into a book, “40 Days with the Enemy.” In 1978 he survived another ordeal in Cambodia when he was fired on after he and two colleagues interviewed Pol Pot, the extremist Khmer Rouge leader. He kept returning to the Far East over his lifetime. In 1993, he traveled to a remote village in Vietnam to interview the retired general who had captured and later released him in Cambodia. He described his era as a golden age for foreign correspondents because there were often several news organizations all covering the same story overseas. The end result benefited the reading public. “I think competition over content is essential,” he said. Dudman had an extensive, and impressive, list of assignments in Washington, D.C., and many other countries. In his 31 years with the Post-Dispatch, he covered Fidel Castro’s insurgency in Cuba, the assassination of President John F. Kennedy in Dallas, the invasion of Cuba at the Bay of Pigs, the Watergate scandal, the Iran-Contra scandal and wars and revolutions in Latin America and the Middle East, in addition to the Far East. On his last day of work as the paper’s Washington bureau chief in 1981, he remembers running up Connecticut Avenue to cover the shooting of President Ronald Reagan. He moved to Maine after his retirement but still worked for the Post-Dispatch on special assignments. In 1986 the Chinese government allowed him to write an exclusive on the earthquake that had killed 242,000 people in 1976. The government had kept reporters out until the city of Tangshan was rebuilt. Among many other awards and fellowships, he won the George Polk career award in 1993. He and his wife, Helen Sloane, have two daughters: Janet Sloane Dudman, of Hastings-on-Hudson, N.Y., and Martha Tod Dudman, of Northeast Harbor. Newspaper writing ran in Dudman’s family. His uncle, Dan Beebe — often called Dynamo Dan — was editor and publisher of the Oreville Mercury Register in California, and Dudman worked there in the summers during college. During the school year he wrote and took photographs for Stanford University’s newspaper. He majored in journalism and economics there, graduating in 1940. He served as a merchant marine during World War II, traveling on ships in the north Atlantic and dodging German submarines. He volunteered for the U.S. Naval Reserve in 1942 and served four years, becoming executive officer of his ship. He later worked at the Denver Post for four years where he wrote many stories about displaced European Jews seeking an Israeli state. He transmitted articles via a telegraph. But Denver was too small for him, he said, and a visit to St. Louis told him he wanted to work for the Post-Dispatch. The paper had no openings, though, so he kept in touch with an editor there for a year and a half and continuously sent him letters and articles he wrote. It translated into a job in 1949. Dudman started work at the Post-Dispatch in the winter, and there was a big snowstorm. His editor couldn’t get to work, so Dudman drove his war surplus Jeep over lawns, in order to avoid snow drifts, to bring his boss to the office. He remembers him as a small, chubby man, hanging onto the handle in the vehicle as they bounced through the snow. Dudman said he credits that trip with making his boss think he was resourceful and intrepid. The truth, of course, is that he was.